This post is rated Questionable, but who on the internet hasn’t seen questionable at some point so carry on. Today we have Elia Ilmatar Juutilainen having fun with Lynette Bishop in the bath (it’s a big outdoor bath with no convenient viewing points). Another day, another vector. … oh quit complaining it hasn’t been a day because I took 12 hours to post it here. 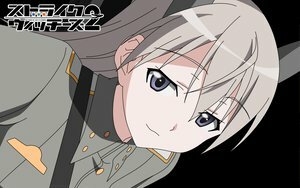 Today it is Eila Ilmatar Juutilainen from Strike Witches S02E06. I did say this wouldn’t take long did I not? Ok, slightly longer than expected. 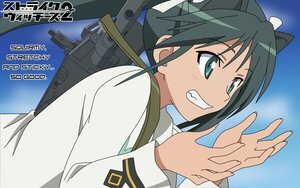 It will be a few days till the Ookami-san images. Someone has asked for Kaho vectors from Mayoi Neko Overrun S01E04.